Consumers come from different cultures, demographics, psychographics, and are at different evolutionary stages. Different markets have different advantages and disadvantages. The majority of the largest companies in the world produce and distribute products across national borders. Most companies have different products in different continents at an instant of time. Also, based on the different consumer markets and the consumer evolutionary stage the product offerings change. 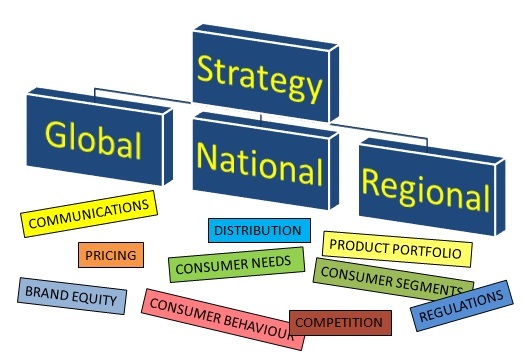 Companies have directional global, continental, national, and regional strategies. 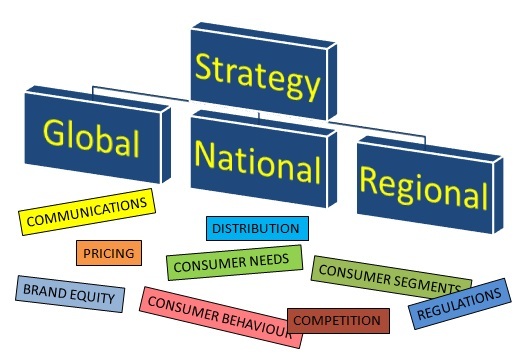 So, every global strategy should have the flexibility to be interpreted at a regional level and the regional strategy should align with the global strategy. Sometimes a regional strategy may evolve slowly into a global strategy. For example, the Shakti Amma programme for HUL is now taken globally to other markets such as Africa and China. Integrating the global, national, and regional strategies across different verticals to deliver the business value and international competitiveness is one of the most challenging aspects for any organization today.